The new 9.7 inch iPad 6 launched last week. 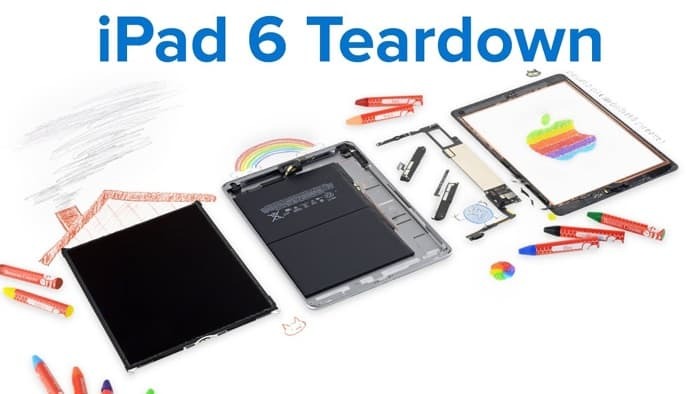 Yesterday we saw some teardown photos of the device and not iFixit have released a video of them taking apart Apple’s latest iPad. In the video below we get to see the new iPad being taken apart, as you will see in the video this is quite a complicated process. The design of the new iPad 6 is similar to the iPad 5 it replaces, it comes with an Apple A10 processor and it features a 9.7 inch Retina Display with a resolution of 2048 x 1536 pixels. The tablet also comes with some updated cameras, these include a front facing FaceTime HD camera and an 8 megapixel rear camera. The new iPad comes with 32GB of storage as standard and price for the device start at $329. As we saw yesterday the latest iPad only managed to score 2 out of 10 on iFxit’s repair index, this means that the tablet is very difficult to repair.